As a run up to the International Day of Yoga 2018, Chitradurga chapter of the Medical Wing, Rajyoga Education and Research Foundation inaugurated the first of their series of free Yoga programmes for common benefit of the masses. Yoga is an ancient art and science originated in India, seen as a powerful way of up-keeping one’s good health and has heeling benefits too. It is beneficial in curing a variety of health problems and is a must for all those who practice a fast paced lifestyle. Yoga is a set of physical asanas and breathing techniques which help calm the mind, gain power and stability and maintain optimum functioning of the body. With this in the mind, the Chitradurga center of the Medical Wing, Rajyoga Education and Research Foundation (RERF) plans to undertake twenty free yoga camps, open to people of all age groups and led by trained Yoga instructors. 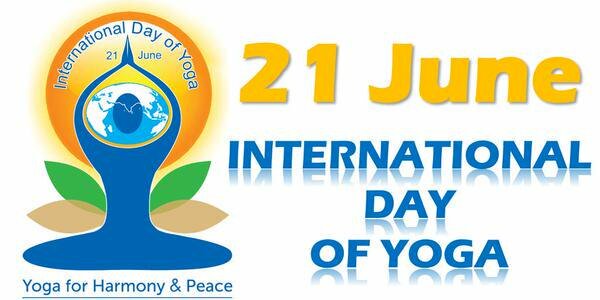 These camps will span a period of one month, concluding on the 21st of June 2018, which is celebrated as International Day of Yoga. On 21st May 2018, Honorable J.H. Thippa Reddy, MLA, Chitradurga and Mr U Siddesh, District Officer, AYUSHgraced the first camp of this set of camps, to commemorate the beginning of this noble cause. A number of people attended and benefited from this free Yoga session, organized at the Brahma Kumaris Hall in Kelagote. People were made to practice various Yoga asanas and Pranayam exercises, facilitated by Mr Raghavendra and Mr Somanna, who are accredited Yoga teachers and Rajyoga meditation for the group was lead by Sister Hemavathi and Sister Shivarashmi, who are experienced meditation practitioners. The organizers, brothers and sisters of the Chitradurga chapter felicitated the honorable guests present at the occasion. All the attendees were invited for all future Yoga sessions and are requested to also get their friends and relatives along, as well as spread the message of this free Yoga camp which everyone can benefit from. The group also expressed deep gratitude to the sponsors of the programme, the Central Council for Research in Yoga and Naturopathy, Ministry of AYUSH, Government of India, for their continuous support and guidance.